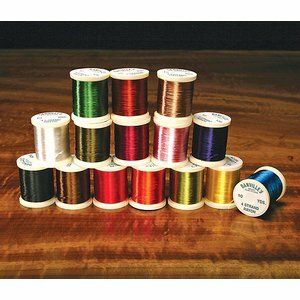 Oval Tinsel, Non-tarnishing tinsel over a cotton core, standard ribbing for bodies with flat tinsel; also used for nymph and streamer patterns. 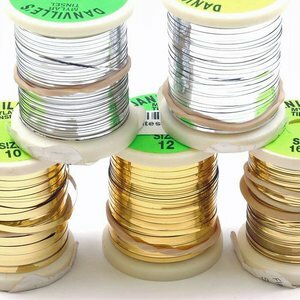 This flat tinsel is made of mylar. 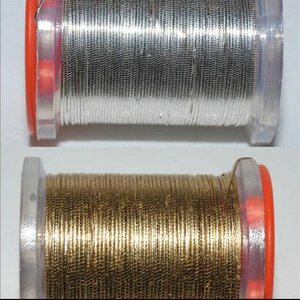 It lies flat and is two-tone, gold on one side, silver on the other. 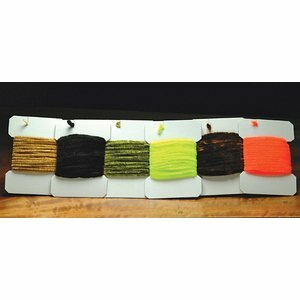 Used for numerous fly patterns. 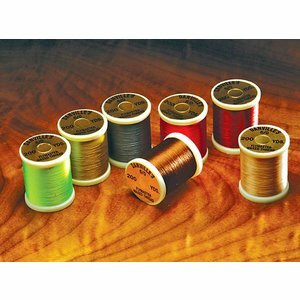 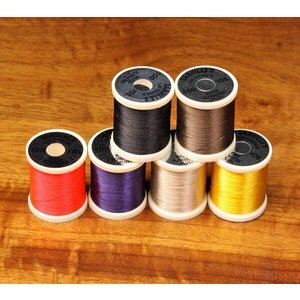 Danville's popular 6/0 waxed thread, best for smaller flies. 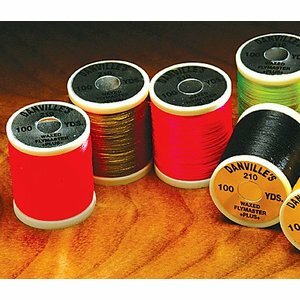 Waxed 200 yard spools.